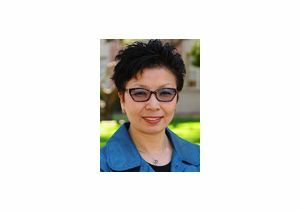 Cindy Fan, interim vice provost for international studies, has been selected as an American Council on Education (ACE) Fellow for the 2013-14 academic year. The ACE Fellows Program, established in 1965, is designed to strengthen institutions in American higher education by preparing fellows to assume positions of senior leadership — deans, provosts and presidents — at a wide range of colleges and universities. Fifty fellows, nominated by the president or chancellor of their institutions, were selected this year following a rigorous selection process. The ACE Fellowship year is designed to provide a multitude of learning experiences and prepare fellows to tackle the wide range of issues facing the higher education community. In addition to attending retreats and the many activities organized by ACE, Fan has chosen to visit a number of campuses across the nation and internationally — public and private; large and small — to explore the various ways in which colleges and universities expand their global reach. With mentorship from Chancellor Tim White, who oversees the 23 campuses of the California State University system, Fan hopes to study and share the challenges and opportunities of higher education in California and bring the best of the ideas she develops back to UCLA. Born and raised in Hong Kong, and the first in her family to go to college, Fan has always been a champion of global education. She joined UCLA in 1989 after receiving her Ph.D. from The Ohio State University. As a professor in the department of geography with a specialization in population, Fan has long embraced a global perspective in her scholarship, teaching, and service. She is internationally renowned for her research on population, migrants, and families in China, and is frequently interviewed by international media and invited to give keynote speeches across Asia, Europe, Australia and the United States. Fan’s innovations in international education earned her a UCLA Distinguished Teaching Award. She has also had considerable administrative and institution-building experience. As chairwoman of the Asian American Studies department, she helped transform it from an interdepartmental program to a full-fledged department. When serving as associate dean of social sciences, Fan developed a self-supporting program in China that prepares high school students for American higher education. As interim vice provost for international studies since 2012, Fan is the first woman and person of color to lead UCLA’s global strategy and the International Institute. She has co-managed more than 300 agreements with 200 institutions in 50 countries; developed new international partnerships, most notably in Russia, Sweden, Canada, Brazil, Korea, Taiwan and China; led UCLA delegations to visit nine countries in Asia, Europe and the Middle East; and significantly grown our international alumni and philanthropy networks. Fan has also led the 30 research centers and degree programs of the International Institute, built a leadership team to implement a new strategic plan, and helped considerably increase non-state funding for the institute. She is well-positioned to make the most of her ACE research — to benefit UCLA as well as to develop her skills and talents as a leader on a state-wide and national stage. UCLA has long had a strong relationship with the American Council on Education. Two of UCLA’s current deans are former ACE Fellows — Victoria Sork, dean of life sciences and Judy Olian, dean of the Anderson Graduate School of Management. Our former dean of UCLA Extension, Cathy Sandeen, also was an ACE Fellow and is now vice president for education attainment and innovation at the American Council on Education. And last year Chancellor Gene Block hosted ACE Fellow Oliver McGee from Howard University.